Founded in 1992, this French company experienced a remarkable revival in 2012 under the supervision of Jean Dominique Leze. He gave the company a new lease of life with an innovative catalogue of decorative lights - a conversion to bold design, especially in a time of crisis, meant a challenge overcome with mastery! 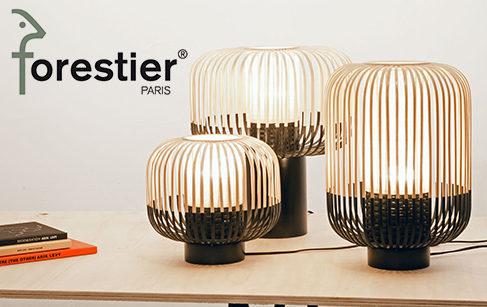 Arik Levy, Sebastien Bergne, Noé Duchaufour Lawrance, Laurence Brabant, Emmanuel Gallina - these were the up-and-coming and well-known talents who were entrusted with the mission to create functional lights with true personality but always at an affordable price. You will be surprised by the unexpected combinations of materials and forms that feature in the Birdy, In & Out, Cork and Cage collections. You can also discover the 1950s spirit of the Pleins Phares collection and the incredible flexibility of the Lens and Baladeuse collections.